It is the holiday season and everyone is busy preparing for the upcoming holiday festivities. 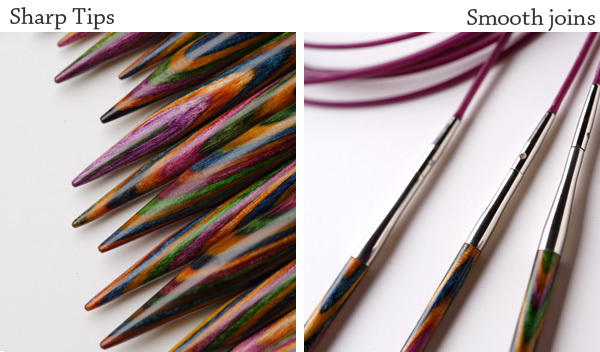 While the hustle and bustle of Thanksgiving is just around the corner and Christmas is not too far behind, why not take a minute from it all and treat yourself to a nice gift from Purl Avenue…a set of Knit Picks’ Rainbow Interchangeable Needles! Yes, this is the mother of all giveaways. So don’t let the chance to win these beauties slip by. Enter today! Giveaway begins today, November 23, 2014 and will end 11:59pm (CST) December 7, 2014. No duplicate submissions. Multiple entries will be disqualified. Winner will be determined via random drawing and will be contacted through email on December 8, 2014. Winner will have two business days to respond or else another winner will be chosen. No purchase necessary. To enter, fill out submission form below. I would love to win this generous giveaway. Off to share now, thank you! What fun it would be to knit with those beautiful needles. I would just love to win this giveaway. If I did I would donate my old metal needles that were my mothers. It would be nice to knit with he’s beautiful needles. Gorgeous needle set. Really wish to have giveaway. Working on your pattern Mesh Lace Cowl. Thank you for the opportunity to win those gorgeous needles! I just finished your diagonal mug cozy pattern and I love the way it hugs my mug. I am now working on the cabled coffee cup sleeve and I appreciate your video, this is my first cable project. I know I’ll be working on more of your patterns! And more cozies for my friends! Thank you so much for giving us the opportunity to win this amazingly beautiful set of knitting needles, I’m got my fingers crossed to win them! They would be amazing in my knitting supplies! Happy Holidays to you and all your loved ones! I would love to win i could really use some new needles i am out of any good ones. Those needles are beautiful. I would so love to have them, it would make knitting even more fun and beautiful than it already is. Would love to win these needles. Just found your site and love, love, love it! Thank you for the free patterns! Wonderful giveaway! Merry Christmas to you and yours! Thank you for the opportunity to win this beautiful Knitting needle. This is amazing. Thank you for the chance. I have a couple of sets of the double point needles. I have mixed them up so much, being a new knitter, I can’t tell the sizes of some them! 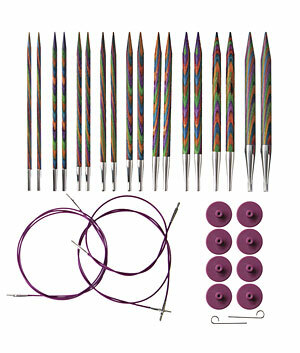 Oh, what a wonderful holiday gift these gorgeous needles would be!